Following the reveal of a concept last year, Volkswagen has confirmed it’ll be putting its potent Golf GTI TCR into production. It can be considered a sort of ‘run-out’ model of the MK7 GTI before an all-new model arrives later this year, but it’s got more than a few fancy options – it gets 286bhp – giving it a 062mph time of 5.6 seconds. Sitting above the Golf GTI Performance, the TCR will essentially take up where the Clubsport S left off as the fastest, most focussed car in the GTI range. 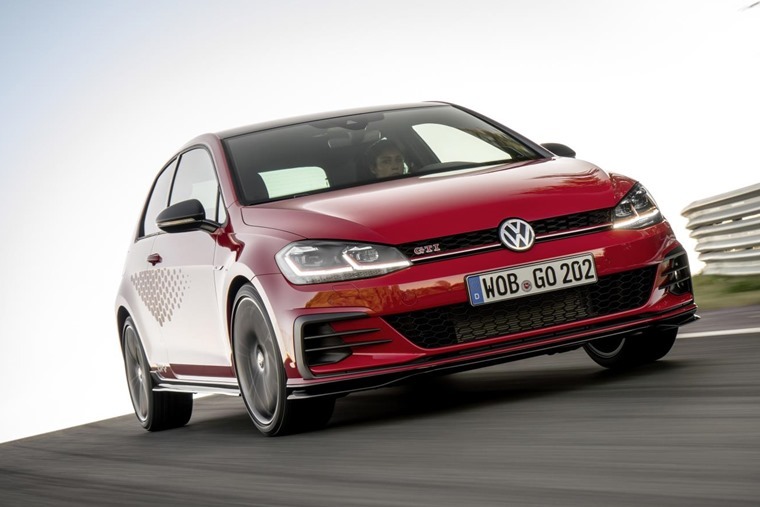 In fact, it’s set to be the most potent GTI to date – its 2.0-litre turbo-petrol produces 286bhp, officially making it the most potent GTI to date. 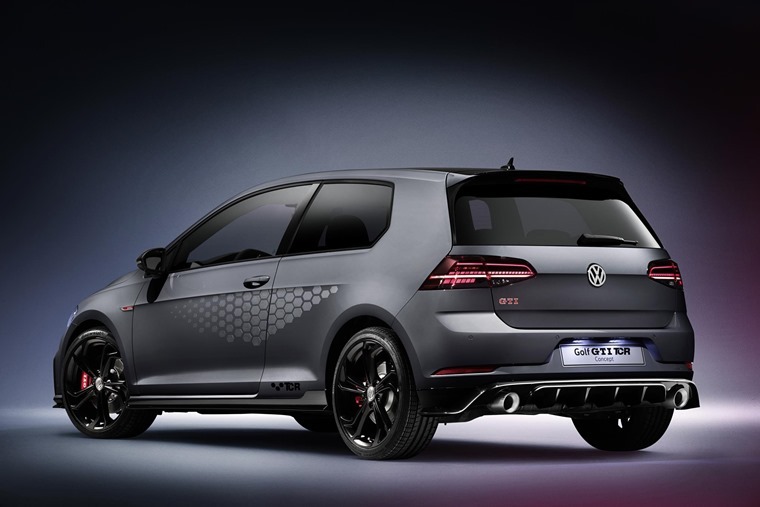 It sticks to its front-wheel-drive roots unlike the range-topping Golf R.
Standard equipment includes a front-axle differential lock, perforated brake discs, driving profile selection, premium front sport seats with a new microfibre/fabric design, seat belts with red edging plus an exclusive sports steering wheel. We do know that it’ll get a limited top speed of 155mph, but that can be upped more than 160mph for those that opt for an optional performance pack. As well as the limit delete, the package adds a 20mm lower suspension set-up, better brakes and DCC (Dynamic Chassis Control). Inside, you’ll find grey microfibre upholstery that’s been specifically developed exclusively for the TCR. VW’s flat-bottomed sports steering wheel is present, while the gearlever gets a red mark – a nod to the company’s racing TCRs. Other nice touches include puddle lights that incorporate the TCR logo and an illuminating stainless steel sill panel. On the outside, there’s no mistaking it for a GTI, but it gets a host of TCR-specific decals too. A unique body kit ushers in a more aggressive look thanks to deeper side sills, redesigned bumpers and a rear diffuser. It also gets TCR-specific graphics on the front grille, along with an exclusive ‘Pure Grey’ paint option. The standard TCR comes with 18in alloy wheels, while that optional performance pack increases the alloy’s diameter to 19in. No official production numbers or prices have been revealed, but you can expect the GTI TCR to be in very high demand when it arrives later in 2019. It’s likely to cost from at least £33,000 – the same as the more potent Golf R. We’ll bring you more info when we know more.